At the System Configuration Check step of the wizard, check what prerequisite software is missing. 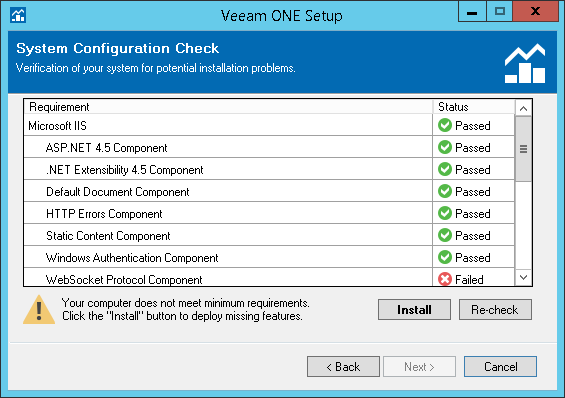 Before proceeding with the upgrade, the installer will perform system configuration check to determine if all prerequisite software is available on the machine. 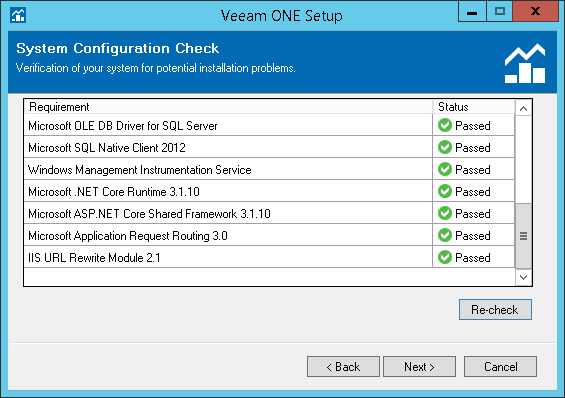 To learn what software is required for Veeam ONE, see System Requirements.